Silica Gel Desiccants 1/2 Gram Size - 5 Gallon Pail, 5/8 x 1 9/32"
Silica Gel Desiccants 10 Gram Size - 5 Gallon Pail, 1 1/2 x 3 1/4"
Silica Gel Desiccants 2 Gram Size - 5 Gallon Pail, 7/8 x 2 1/8"
Silica Gel Desiccants 3 Gram Size - 5 Gallon Pail, 1 1/16 x 2 1/16"
Silica Gel Desiccants 5 Gram Size - 5 Gallon Pail, 1 1/16 x 2 3/4"
Silica Gel Desiccants 1 Gram Size - 5 Gallon Pail, 7/8 x 1 1/2"
Container Dri® II Plus Desiccants 1500 Gram Size, 18 x 22 x 1 1/2"
Container Dri® II Desiccants 125 Gram Size, 10 x 5 3/4 x 1"
Container Dri® II Desiccants 750 Gram Size, 10 x 5 3/4 x 1"
Kraft Clay Desiccants 4 Gram Size - 34 Gallon Drum, 5 x 5 1/2 x 1/2"
Kraft Clay Desiccants 2 Gram Size - 34 Gallon Drum, 3 x 6 x 3/8"
Kraft Clay Desiccants 1 Gram Size - 34 Gallon Drum, 3 x 4 x 1/4"
Desiccants are used to control moisture, keeping products at safe humidity levels. They are often used for pharmaceuticals, food, electronics and in numerous applications in many other industries. At the Packaging Company, we stock silica gel desiccants and kraft clay desiccants to keep your products safe during shipping and storage. Silica gel desiccants can absorb 15% of their weight in water vapour in two hours, keeping products from getting damaged. Kraft clay desiccants, made with an activated clay filling, are noncorrosive and can absorb up to 20% of their weight in six hours. These are often used when shipping or storing machine parts, documents, chemicals, or clothing. No matter which product you choose, you can trust the Packaging Company to supply high-quality options at affordable prices. For years, we have helped companies keep their products safe and secure during shipping and storage. We know that the last thing you want is to have your shipment arrive at its destination damaged or otherwise not in the same state it was in when it left your facility. Not only is this costly and time-consuming, as you’ll need to send out a replacement (if replacing the item is even possible) but you’ll also risk having the reputation of your business hurt by the incident. In today’s competitive marketplace, this isn’t something you will want to risk. 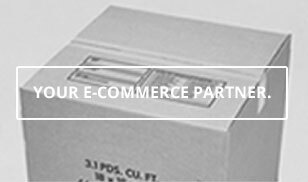 When you work with the Packaging Company, you are working with an experienced team that will treat your business as a trusted partner. It is our goal to provide our customers with the products they need to be successful. Instead of searching all over to find the right products for shipping and transporting your products, contact the Packaging Company instead. Whether you’re looking for desiccants or any other products, we’re here for you. Don’t see something you need? Feel free to give us a call.